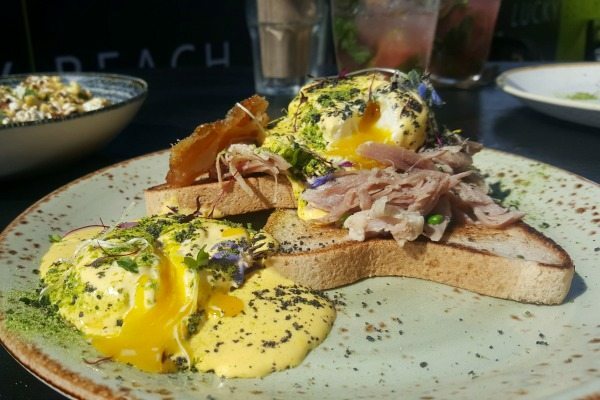 A top sustainable brunch spot! Brunch, in my opinion is something that one cannot have enough of, especially when it is done well. It certainly sets the day up to be a good one, and generally keeps you going until tea time too. Up there in my favourite pastimes is finding the best brunch spots and one recent sunny Saturday I was very happy to add another one to the top of the list. 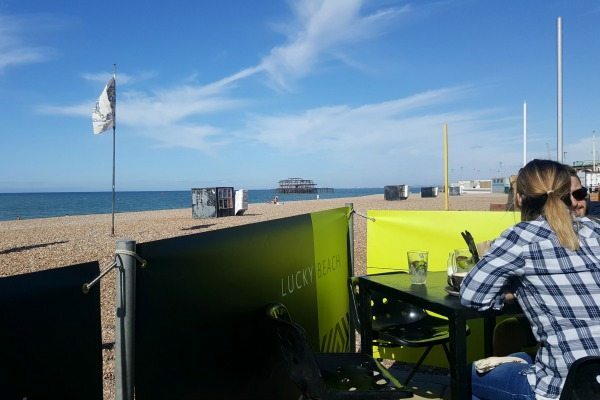 Lucky Beach is in a prime location on Brighton’s seafront, in between the picturesque West Pier and the carnival-fun Palace Pier, with the latter being closer. 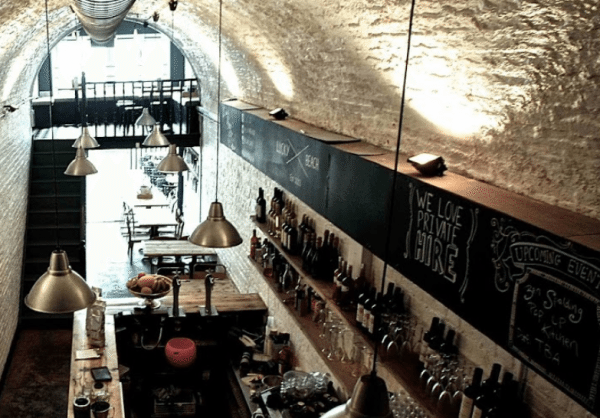 Their fisherman arches venue is designed to be a year round destination, with many outdoor tables out the front, all equipped with umbrellas for shade, or heaters for warmth, and then the inside is spacious for the cold or stormy months. They are passionate about sustainability, and they show this on their menu by only using locally sourced ingredients and ethically rared poultry, pork and beef. All of their suppliers are local, reducing their carbon footprint, and they run a local coffee roastery who only source ‘better than fair trade’ coffee (directly trade), to support local coffee farmers too. 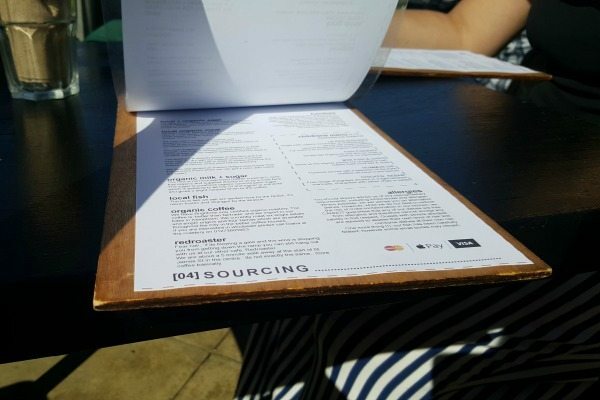 Their is more information on where they source their ingredients from on their website and they have a whole page on their menu dedicated to sourcing as well. 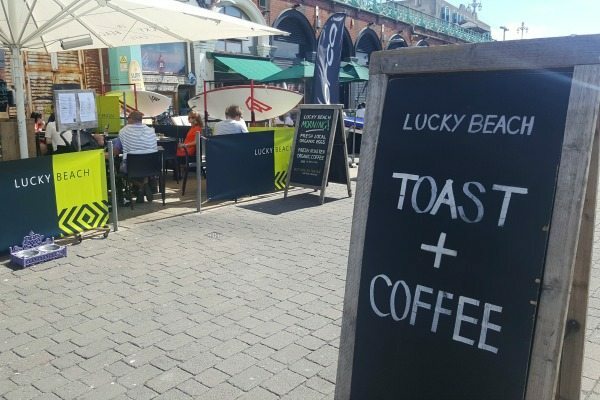 I met a friend at around 9:30 on a Saturday morning, which was a scorcher of a day at the beginning of Brighton’s summer heatwave. The cafe was already buzzing, obviously this is a popular place to be this early which was a good sign. 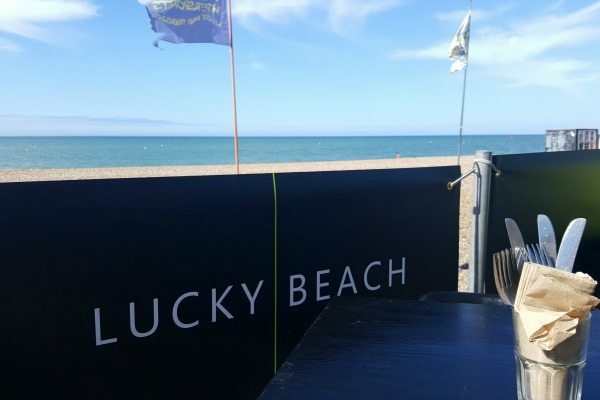 My friend, a brunch lover herself, had heard many great things about Lucky Beach so was just as excited to be there as me! We were promptly greeted by the friendly staff and were told we can sit wherever we liked, so we both picked a spot out the front with views over the beach and the sea. Menus were bought straight away for us to look at, and we both scanned our eyes over the pages with joy. The menu we were given was for brunch of course, but you may also know Lucky Beach for their famous burgers, which they start serving from 11:45am everyday. The brunch menu includes dishes that I would say are Californian inspired, bursting with freshness and creative flair. It is very vegetarian and gluten free friendly, with my favourite gluten free bakery (Sussex Bread Company) supplying their gluten free bread. 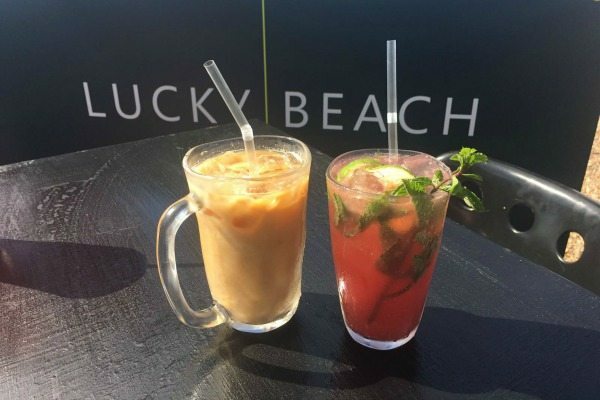 Drinks include a delicious selection of fresh and organic homemade juices, their own locally roasted coffee, and as it was the summer, a lot of refreshing iced coffee and iced ‘fizz’ drinks. My friend and I both had to try a Fresh Watermelon Soda, made from blended watermelon, fresh lime, soda and mint. I also tried a small Americano of their house blend, and my friend went for one of their iced cinnamon almond latte’s too. 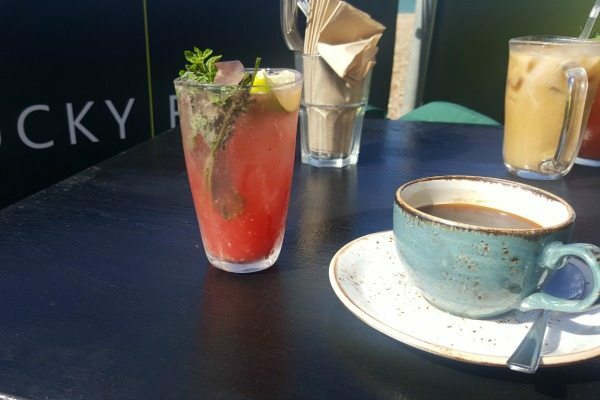 The watermelon soda was just what the doctor ordered on this fine sunny day and certainly started our brunch date off well. It was light and sparkly and refreshing and went down a treat! We both were instantly reminisced to our South East Asia travelling days, where these were the norm with breakfast. My Americano was extracted well, with no unpleasant bitterness and you could tell the coffee was fresh and made with good quality beans. The almond milk cinnamon latte was a nice surprise and definitely something I could see myself sipping as a takeaway while heading down the beach! It was lightly spiced and generous on the coffee, and the almond milk complemented their blend really well. Our food came out quickly despite them being busy, and everything was presented with care and finesse. The plates were stylish spotted ceramic, and the food was garnished with powdered herbs, micro herbs, sprouts, and even edible flowers too! It may sound over the top for a brunch, but it really wasn’t, I loved it. 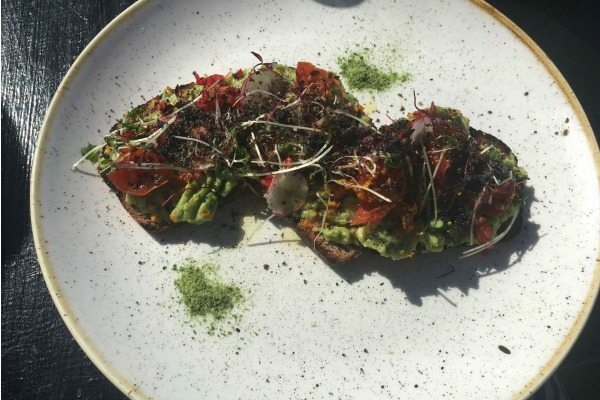 My friend ordered the Avocado Tartine which was the only vegan option on the menu the day we visited. This was served on seeded rye bread, with fresh avo, turmeric, chilli, melted tomatoes, and black sesame gomasio. Gomasio is made from un-hulled toasted sesame seeds and a little salt, as a healthy alternative to normal table salt as it gives a similar savoury/umami taste. This dish was lovely and fresh, with unique flavours that all came together well. It tasted very healthy and is a good option for those wanting a nutritious and light start to their day. 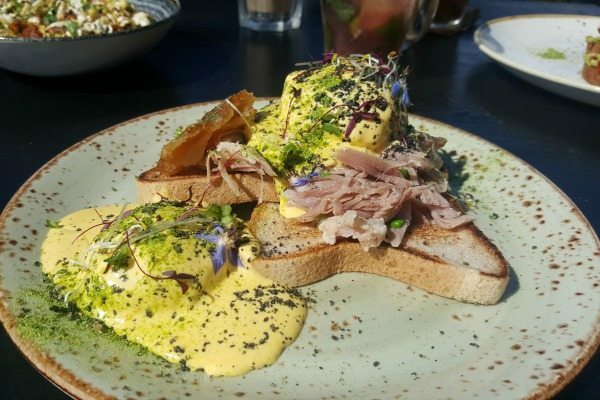 I went for Lucky Beach’s take on an Eggs Benedict which was made with braised and shredded ham hock, smashed peas, apple cider hollandaise and I asked for it to be served on my fav gluten free bread. I also ordered a side of egg and bacon popcorn that was brand new on the menu that day, as I absolutely had to, I was intrigued! The eggs were perfectly poached, and yolk drizzled down over the ham hock after I joyfully burst them with my knife. The ham hock was slightly smoky, and the peas added a green freshness and popped in my mouth. The apple cider hollandaise was something of a revelation to me, and I wonder why I had not seen this anywhere else! As a classic pairing with ham and peas, the apple cider cut through the buttery sauce and bought the dish together with a zing. 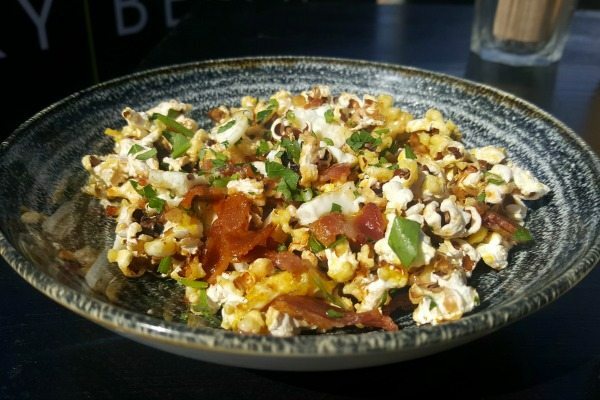 I bet you have been wanting to hear all about this egg and bacon popcorn, as my friend and I were too. It was also presented in a pretty ceramic bowl, and I thought it was delicious! Buttery popcorn was tossed with crispy bacon, runny yolk, flat leaf parsley and chopped up fried egg – you gotta try it. My friend I was with doesn’t eat meat so I had to eat it all to myself, but it would be great to have a bowl to share on the table! Good work Lucky Beach. 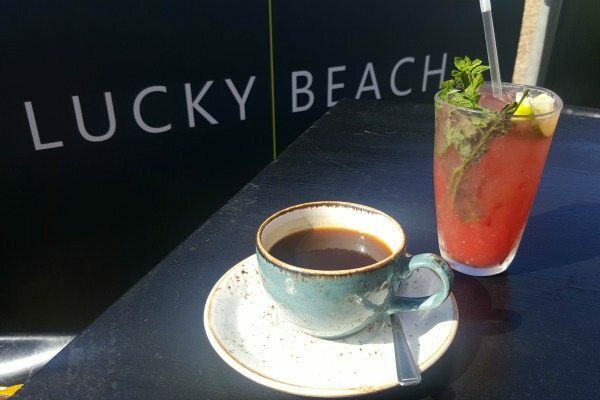 As I said at the beginning I am always on the hunt for new and exciting brunch spot, and Lucky Beach certainly fit the bill. I would recommend getting there early in the weekend to secure a table, as they do get busy, but don’t let this put you off as the service was not affected at all! It’s a perfect spot for lapping up the sun, meeting friends, or just enjoying a lazy brunch in the morning to set the vibes for the day ahead. 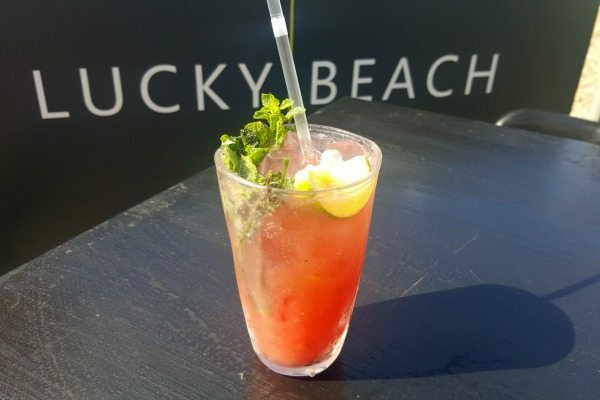 Thanks Lucky Beach for a great start to our Saturday and I will certainly be back soon!